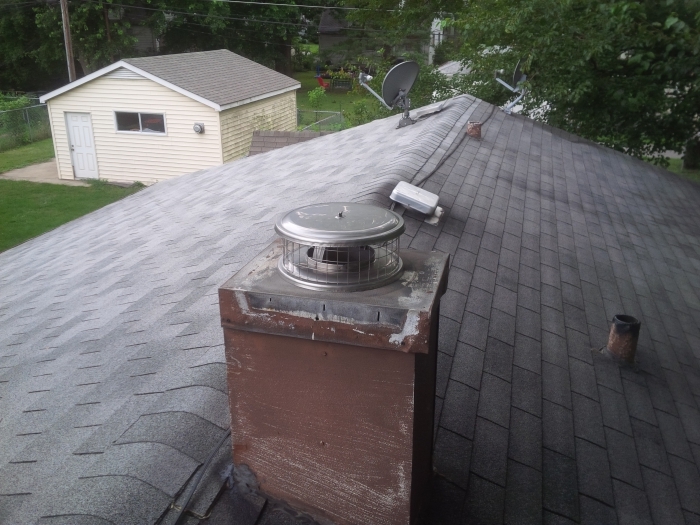 Bottom collar outside dimension is 13"
Choose a durable chimney cap with this product from HomeSaver, offered with a lifetime warranty. This cap fits inside the chimney with a tight, friction fit installation and is designed for solid pack factory-built chimneys. 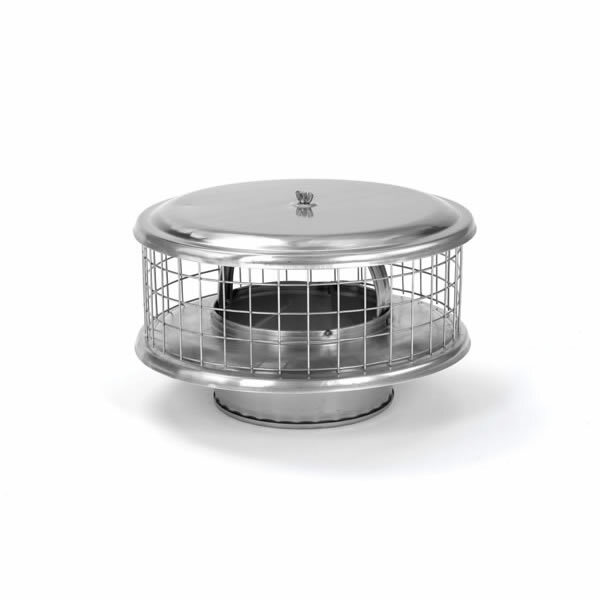 This 8 inch round chimney cap has a 1 inch mesh and a bottom collar outside dimension of 13 inches. If your standard rain cap/ spark arrestor is in need of replacement, consider this chimney cap that fits virtually any brand of factory-built chimney. Does this HomeSaver Pro 8 Inch round chimney cap for solid pack factory-built chimneys fit an 8 inch inside diameter double wall vent pipe? Yes, this fits solid pack chimney with an 8 inch inside diameter. Will this fit in a regular 8" flue chimney? This cap will fit into a metal chimney with an inside diameter of 7 3/4 to 8 1/4 inches. It should only be used with a solid pack chimney, meaning that there should not be any open air space between the inner and outer walls. Will this item turn so that when wind comes in a different direction, the smoke will not go down the chimney? No, it has a tight, friction fit installation. What material is this cap is made of? This cap is made of 304-alloy stainless steel. Easy to install and provides a good draft for our wood stove. Easily installed , working great, came on time. Couldn't be happier. ...Easy installation and perfect fit. Easy to install, good quality product, looks great. Much nicer than what I saw at big box stores. I had a difficult time finding a 7" diameter cap in my local chain hardware stores and wasn't looking forward to the time it was going to take to fabricate one or the cost of hiring an HVAC service company to find a replacement. ProsExact Fit and so easy to install! I was very pleased with the speed that I received this package after ordering. It was a top quality piece and fit exactly right with a nice tight fit to my existing chimney. I would highly recommend this part to anyone needing a rain cap for a 7 inch chimney. ConsNone except for possibly price, but they all seem to be expensive no matter where you buy them. I emailed customer support because I was not sure whip cap would fit my metal triple wall pipe. They recommend this one. It fits great and is well built. Prossolid stainless steel, should last my lifetime.